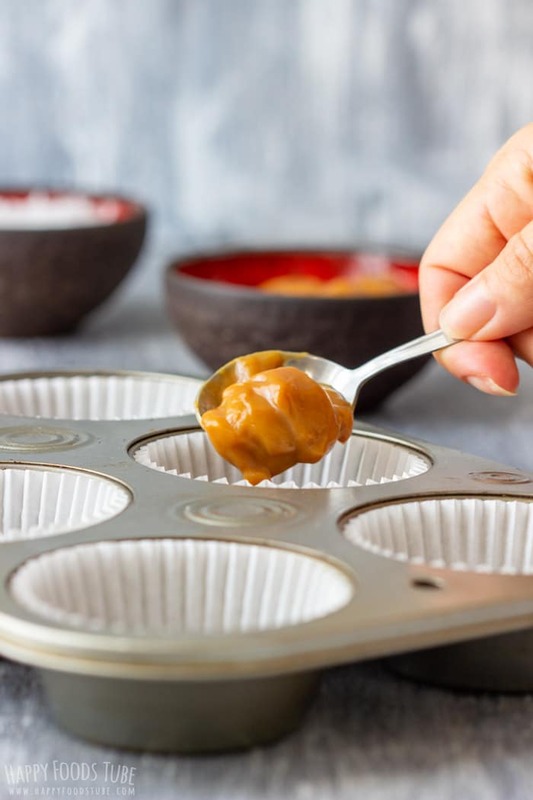 Easy Dulce de Leche Chocolate Cups recipe with sea salt crystals. Melt-in-your mouth dark chocolate with sweet caramel filling is the perfect chocolate treat for any occasion! 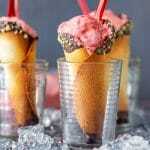 These easy to make sweet treats are best enjoyed right from freezer. However, if you like them little softer, let them sit at room temperature for 2 -3 minutes and they will turn into soft chocolates with smooth texture. It’s a sweet almost-like-caramel confection that is made by slowly heating sweetened milk. You can buy it in grocery stores on Amazon. They sell it in cans or glass jars as far as I know. Their flavor, color and consistency may vary depending on the brand you choose. If you’d like to make it yourself, this post might be quite useful: How to make homemade dulce de leche. 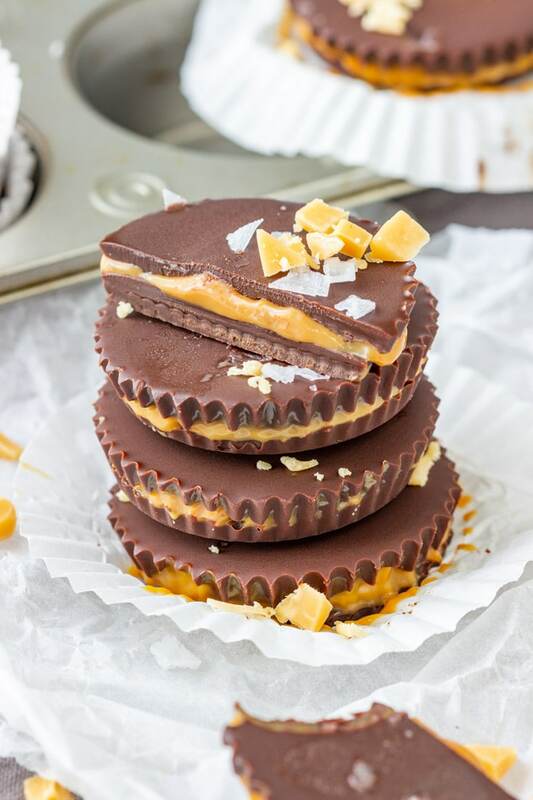 How to make dulce de leche chocolate cups? Prepare the paper cases first. Either, place them onto a tray (that can fit into your freezer) or a muffin tin. Melt the chocolate and butter until smooth. This only takes about 5 minutes when using double boiler. Now pour about a tablespoon and a half of this melted chocolate into each paper case and place them into your freezer for 5-7 minutes or until they are hard. Note that they will be hard only on the outside but that is OK. That allows you to continue with the next step. Spoon a heaped teaspoon of dulce de leche over the hardened chocolate. Now spread it around. When done with all of them, pour the remaining chocolate over and transfer back into the freezer. Keep it there for at least 1.5 hour before serving. 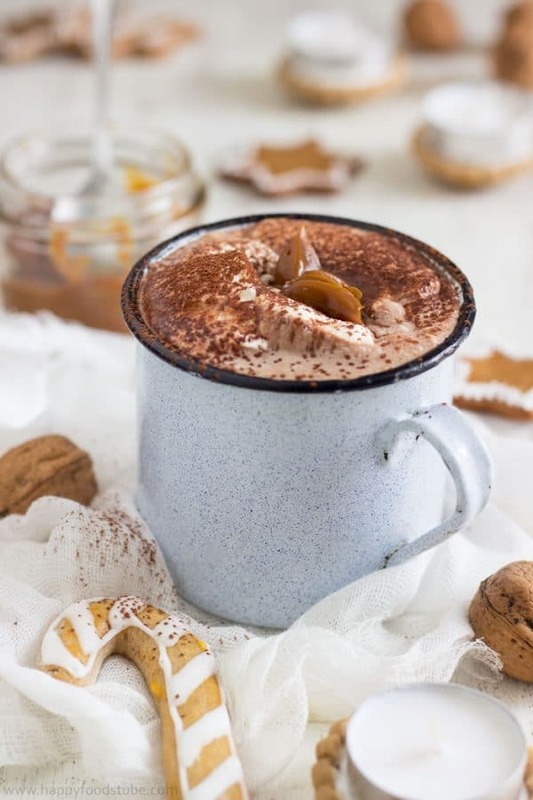 Oh, and if you end up with some leftover dulce de leche, try Dulce de Leche Hot Chocolate! It’s so good! 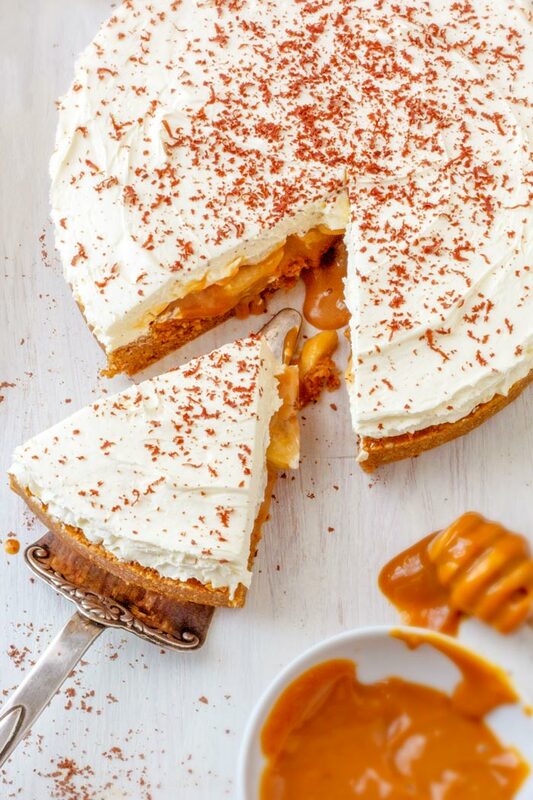 You can also use it to make No Bake Banana Banoffee Pie. Use a muffin tin if you have one. You can easily shove it in the freezer. Also shaking the tin to make the surface of the melted chocolate nice and even is pretty easy. No mess whatsoever! If you don’t have a muffin tin, a tray will work just fine. Using paper cases is a must. It does not really matter what type or size you use, just use some. I also serve them in paper cases as it is little messier to eat that way. I used quite wide paper cases for cupcakes. You can use mini paper cases/liners especially when planning a party or a large gathering! Store these dulce de leche chocolate cups in an airtight container in the freezer. 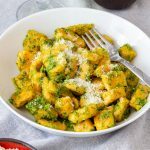 You can serve them right away after taking them out from your freezer. Double boiler to melt the chocolate – a.k.a. larger sauce pan/pot and a heat-proof bowl that sits on the top of the pot. There is water simmering in the pot and chocolate and butter are in the bowl slowly melting over this indirect heat that comes from boiling the water. If you have experience with melting chocolate in a microwave then you can do it in a microwave instead. 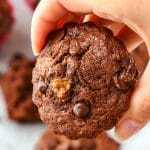 I prefer using dark chocolate in this recipe for one simple reason. The middle caramel layer is pretty sweet so the dark chocolate balances the sweetness. Also for the same reason I don’t fill the paper cases to the top. I think this is the perfect size – not too little, not too much. If someone needs more, they can help themselves to have another treat. 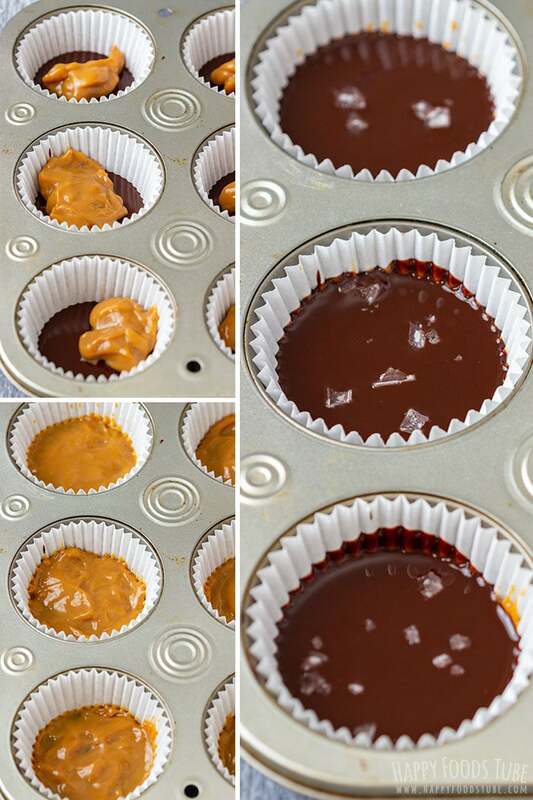 Using unsalted butter to make these caramel chocolate cups is just a personal preference. This way I can control how much salt I add in the chocolate. If you like your chocolate on the saltier side, go ahead and use salted butter. You can chop/crush some M&Ms or other colorful candies and sprinkle these over the top layer if you are making these dulce de leche chocolate cups for kids. The main difference is the ingredients used (dulce de leche is made with milk while caramel with water). However, they are pretty similar in taste and color – very sweet, creamy and brown looking. 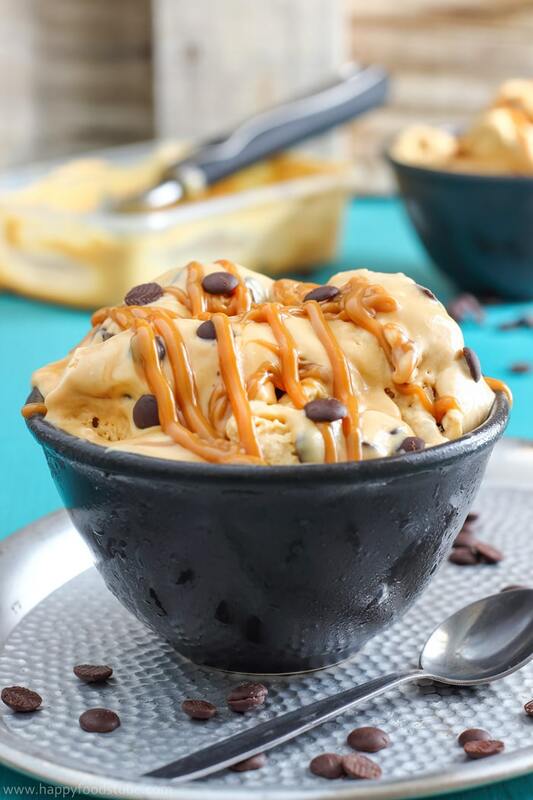 Dulce de Leche – use caramel instead. It does not matter whether it is homemade caramel or shop-bought as long as it has a thicker consistency. 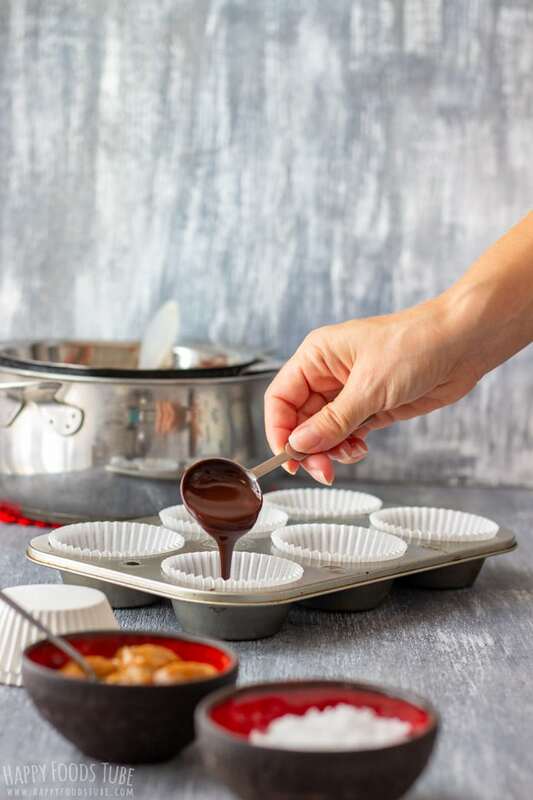 Dark chocolate – semi sweet chocolate can also be used to make these dulce de leche chocolate cups. Unsalted butter –there is no substitution for this. Make sure to use real butter. 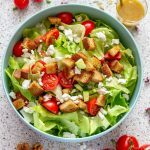 Salt flakes – if you find these expensive or don’t have them on hand, just use some table or Himalayan salt instead. You can also omit this but it is recommended. 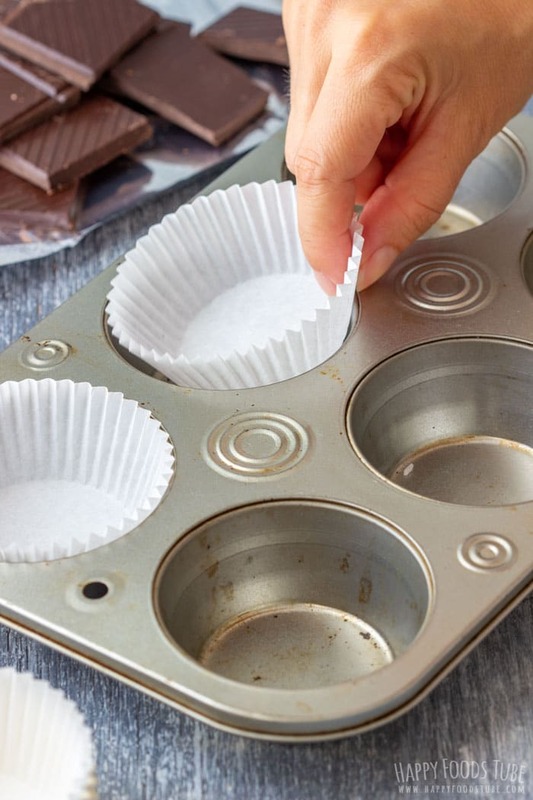 Place paper cases/liners into muffin tin or onto a tray that can fit into a freezer. In double boiler, melt finely chopped chocolate and butter until smooth. Stir occasionally to help it melt faster. Pour about a tablespoon and a half of this melted chocolate into each paper case and place them into your freezer for 5-7 minutes or until they are hard to touch. Spread a heaped teaspoon of dulce de leche across the hardened chocolate. 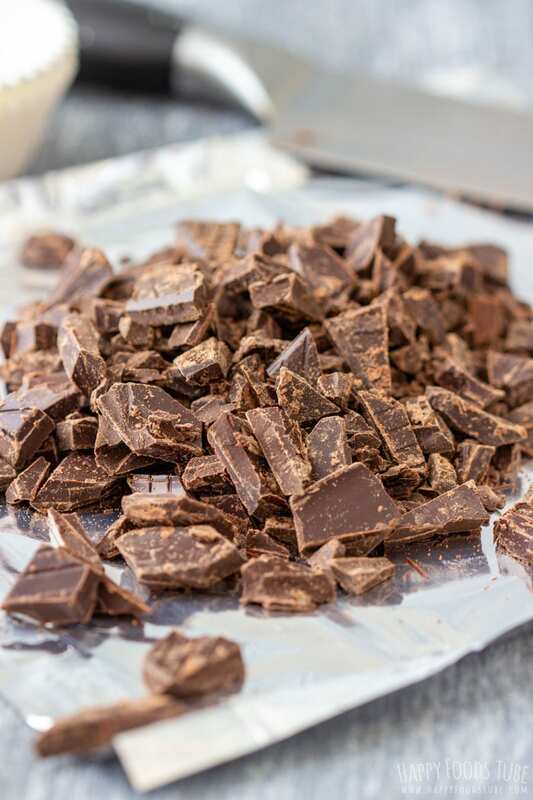 When done with all of them, pour the remaining chocolate over (again about 1½ tablespoon per cup), sprinkle with salt flakes and transfer back into the freezer. I prefer using dark chocolate as the middle caramel layer is pretty sweet. You can also use semi-sweet chocolate. 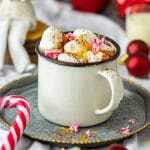 You will get 11-12 cups out of this recipe. You may end up with less/more depending on the size of cups you use. These dulce de leche chocolate cups are pretty shallow as you can see on the picture as they are quite rich. If you like them larger in size, just add more chocolate caramel. Just note that you will get less cups out of this. 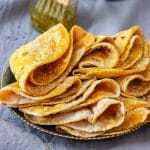 When left outside for a long time they will go soft that is why it’s best keeping them in the freezer and take them out minutes before serving. 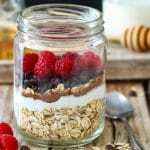 Storage – store them in an air-tight container in the freezer. wow the kids would love if I made these for them they look over the top yummy! 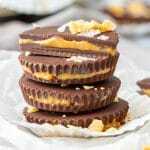 My fiance asked me last night how to make almond butter cups! But he is a HUGE dulce de leche lover – sending him this post right now! These Chocolate Cups look so amazing! I need to try these! And I love the Caramel touch! 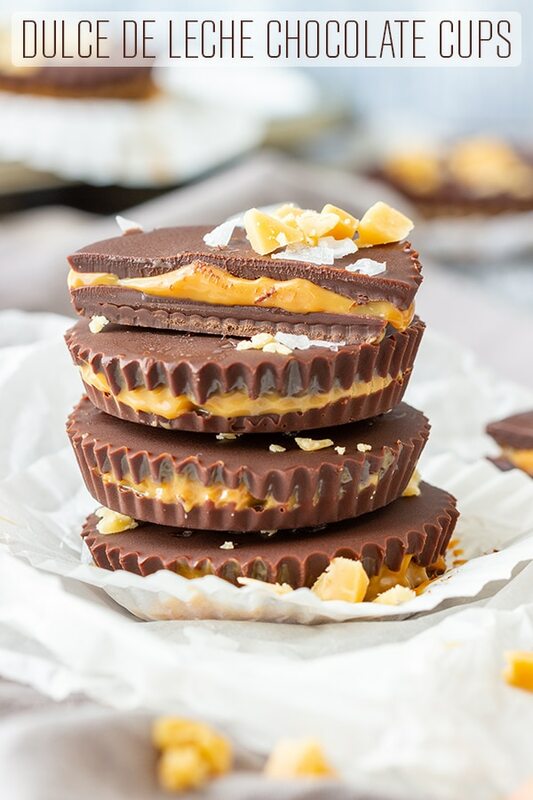 These dulce de leche chocolate cups look beautiful and I can imagine how wonderful they taste. 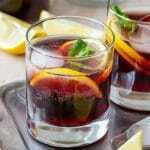 They look quite easy to make too so really want to try making them!